Facebook CEO Mark Zuckerberg spent nearly 10 hours testifying at a US Congressional hearing this week. On the 10th of April the Senate questioned him, and on the 11th of April, the House of Representatives got their turn. Democrats complained about Facebook’s role in Trump’s election, while Republicans complained about Facebook being biased against them. Primarily, however, Zuckerberg was defending the role of Facebook in the so-called Cambridge Analytica data scandal, after revelations that 87 million Facebook users had their personal data captured and used, without their consent, to influence the 2016 BREXIT referendum and the US presidential election. 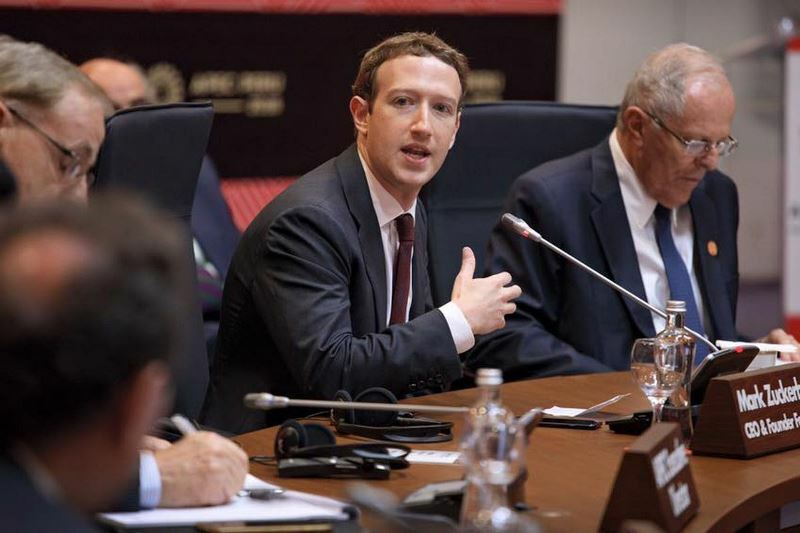 The US Congress tried to show that the Facebook business model, its secretive business practices and its monopoly over social media were to blame for much of what is perceived to be going wrong with democracy today. However, they only demonstrated how little most of the nearly 100 Congressmen who questioned Zuckerberg actually understood about Facebook, its business model and social media in general. Despite some of their threats and the powers vested in Congress and the Federal Trade Commission to impose harm upon Facebook, the company’s stock ended 4.5% higher after the Senate hearing and 1.5% higher still after the House of Representatives hearing, and this was notwithstanding that the new EU General Data Protection Regulation (GDPR), to strengthen data protection rights for EU residents, will come into force on the 25th of May, 2018. The US has been beset by self-doubt since the election of Donald Trump in 2016. He was not taken seriously as a presidential candidate in his own party, until very late in the Republican Party primary electoral contests, and then, once he became the Republican Party candidate, few thought he had a chance of beating Hilary Clinton until the last weeks of the election. This is where Facebook, ‘false news’ and Russian hacking enters the story. It was revealed that over a 2 year period, Russian sources published about 80000 posts on Facebook in an effort to sway US politics and that 126 million Americans saw these posts. It also came to be known that Russia hacked into the computer servers of the Democratic Party and leaked compromising information about Clinton and the Democratic Party, and that the Trump campaign seemed to be associated in some way with that, which is why the FBI is actively investigating Trump and his associates. Aside from the Russian involvement and Trump’s alleged complicity, sinister forces closer to home may have been more effective in subverting US democracy, and therein is the Cambridge Analytica data scandal. A Facebook application called ‘This is Your Digital Life’ was developed by Aleksandr Kogan, a psychologist from Cambridge University, and this application sits at the center of the scandal. Facebook allowed this application to collect data by way of an online quiz for research purposes, and 270,000 people installed the application, but what they did not know was that the application extracted their personal data, as well as the personal data of all their Facebook friends, and that this data was passed to Cambridge Analytica who are now facing legal action for allegedly using the data to influence the UK’s EU exit referendum and the US presidential election in 2016. A staggering amount of data was collected for this purpose: 70.6 million US accounts, 1.1 million UK accounts, and hundreds of thousands of accounts from Canada, India and Australia had their profile data, likes and other Facebook activity data extracted. The UK’s ‘Vote Leave’ campaign, which was being supported by prominent UK politicians such as Nigel Farrage, channeled £3.9 million to a company called AggregateIQ, which is linked to Cambridge Analytica. Just as the US is questioning the legitimacy of its election, the UK is still struggling to understand how its referendum was influenced by data manipulation extracted from Facebook. The Guardian newspaper called it: “The great British Brexit robbery: how our democracy was hijacked” and explained that the same US billionaires (the Mercer family) who backed Trump’s election campaign owned Cambridge Analytica and influenced the UK’s referendum. Data extracted from Facebook was used to provide psychological profiles of potential voters, who were then targeted with content on Facebook specially designed to influence their emotional state in a way that would sway their vote, and Cambridge Analytica is not the only organization involved. An article published on the 5th of April, 2018, in OpenSecrets.org was titled: “Robert Mercer backed a secretive group that worked with Facebook, Google to target anti-Muslim advertisements at swing voters.” The article revealed that Robert Mercer paid $2 million to an organization called Secure America Now, which placed the advertisements, without actually naming any candidate, to generate anti-Muslim feelings that would benefit Trump’s campaign. Facebook and Google are powerful advertising tools because they allow advertisers, or campaign organizations, to have their messages targeted at specific groups of users. Actually, the users, or rather their personal data, are in reality the product, which is the source of huge advertising revenue for these companies. The use of social media is relatively new, but Turnbull’s explanation of how voter emotions are manipulated in democratic elections is nothing new: “The two fundamental man drivers when it comes to taking information on board effectively are hopes and fears, and many of those are unspoken and the even unconscious — you didn’t know that was a fear until you saw something that just evoked that reaction from you … There is no good fighting an election campaign on the facts because actually it’s all about emotion,” according to Turnbull. Democracy functions by manipulating people’s feelings, and Facebook is only the latest tool for that. It has become fashionable to blame Facebook and social media for problems with the functioning of democracy, but campaign managers, who use social media to manipulate the emotional states of voters, understand democracy better than the puppet Senators and Representatives who are part of the official face of US democracy. Democratic campaigns are funded now, as they have been before, by the wealthy capitalists who pour money into manipulating the fears and hopes of voters in order to get puppets elected who will secure their interests. However, three things have changed because of social media: first, the ability to selectively target different groups of people with messages in their social media feeds; second, that more people can play the game; and third, that a huge amount of personal data is now available on everyone who uses social media.